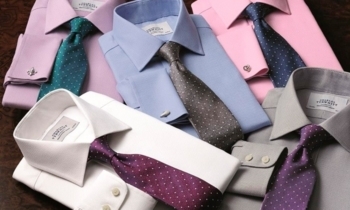 Avios partner (you earn 4 Avios per £1) Charles Tyrwhitt has launched a new discount code. This covers shirts, suits, ties …. the lot. The code you need online is UKDIM4. You save 15% on all orders. The website is here and you need to order by 31st March. You can also earn Avios in their shops – just tell the staff your British Airways Executive Club number at the till – and in theory you also get 15% off in a store by quoting the code above. I’ve seen grumbling from some readers about Avios not posting correctly for in-store purchases although it clearly does no harm to try if you are buying anyway. PS. Remember that you can also earn 25 Avios per £1 at Hackett at the moment. This HFP article explains how. Lufthansa has given advance notice of a modest Miles & More devaluation coming on 9th May. “The mileage amount on intercontinental flights will increase for return trips in Business Class by a total of 7,000 miles, and 12,000 miles in First Class. The new reward chart is here, valid for bookings made from 9th May. The old (current) reward chart is here. Business Class flights to the Middle East are UNCHANGED at 70,000 miles return. This makes them a steal compared to 100,000 Avios off-peak and 120,000 Avios peak. Business Class to North America goes up from 105,000 miles to 112,000 miles return. This still represents very good value for US West Coast trips, but less so for the East Coast. First Class to North America goes up to 182,000 miles return, from 170,000. Remember that Lufthansa First Class, if you can get that, is arguably the classiest in the sky and the First Class Terminal in Frankfurt is something worth trying if you can. Miles & More miles were always a joke when used for European redemptions (35,000 miles for an Economy return from London to Frankfurt plus a lot of taxes) and nothing changes there! As you have presumably seen on the national news, Icelandic airline WOW Air finally slid into bankruptcy yesterday after various rescue attempts failed. All flights were cancelled with immediate effect. Virgin Atlantic is also offering special deals to WOW customers due to travel on transatlantic routes. You need to call 0344 8747747 to enquire about pricing. Bookings must be made by 6th April for travel by 30th April. Aer Lingus is also offering special fares to WOW customers who were due to travel by 12th April. You need to call 0333 006 6920. Icelandair is offering return tickets for anyone stranded in London or Iceland but will not help if you have a future booking to Iceland. OT — how many Amex cards can one apply within one month? Is there any limit on that?